It is always tragic when an era comes to a close. 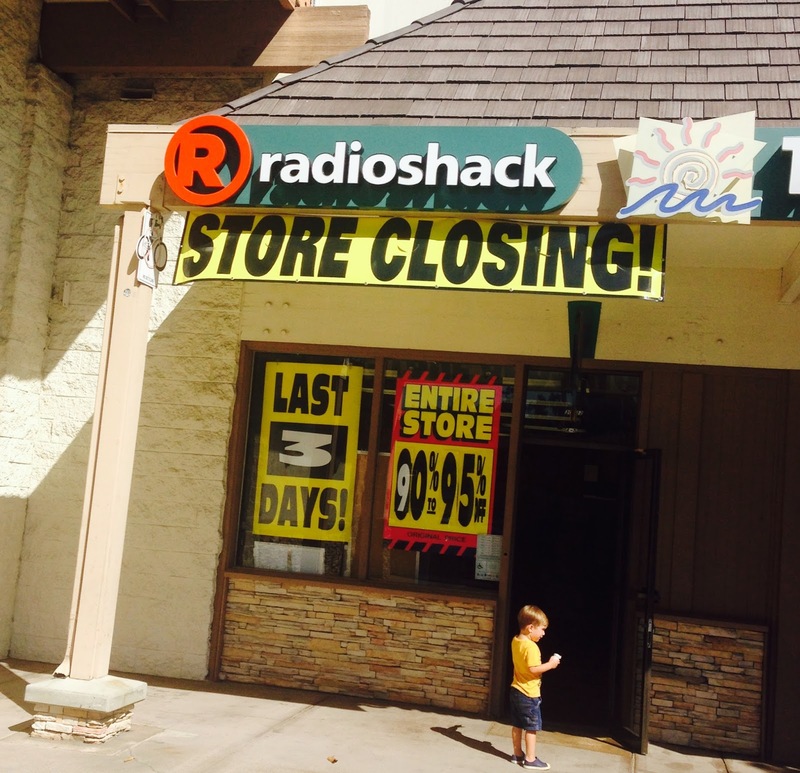 Radio Shack was a fixture in downtown Laguna Niguel for quite a number of years--but it got eaten up in the rapid pace of change that we have all been witness to. 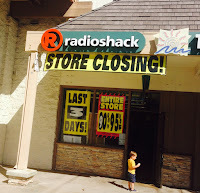 Our team had a chance to interview the staff as they were overseeing the last of the liquidation of the store recently. They were quite happy in that they had new opportunities that they had pursued. The image of the child as it walked through speaks volumes about the ability to look ahead as exemplified by the child in this image which continues to underscore the possiblities. South County, though, will have an opportunity to celebrate the possiblities as Laguna Niguel will once again have the Annual Run in the Park to celebrate the 4th of July and cities throughout South Orange County will be embracing another tradition yet again: National Night Out which is now scheduled for August 4, 2015 in Laguna Niguel at Crown Valley Regional Park.